CLICK HERE to buy from Parallax, Amazon, B &N, or Indie Bound. When the world is burning with anger, divisiveness, and fear, this book of inspiring quotes selected by the editors of Parallax Press is a still, small voice in the storm that will bring peace of mind to the reader. With delicate illustrations by artist Maude White, this book speaks to the vulnerability and courage of holding space for the loving, connected, and more beautiful world our hearts know is possible. This book is gift, solace, and inspiration for idealists, progressives, and anyone fighting the good fight. 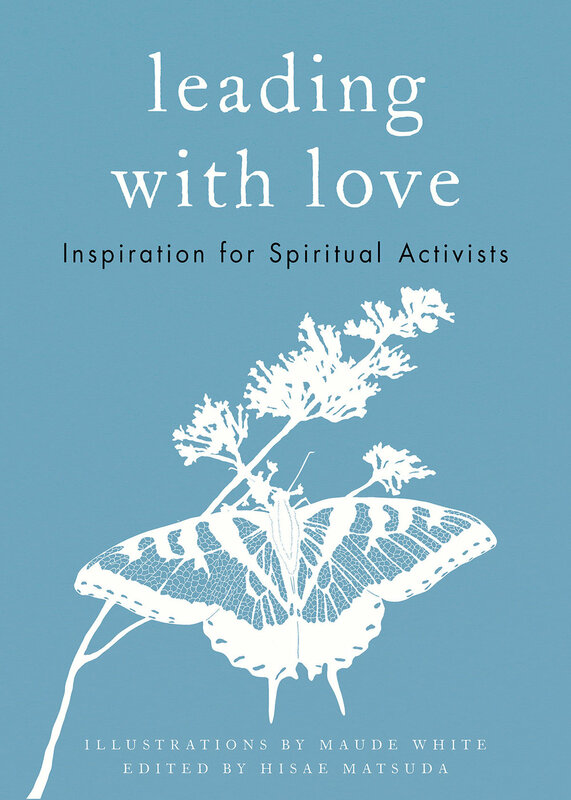 In the long tradition of spiritual activists from Martin Luther King Jr and Thich Nhat Hanh to new and less known voices, this book of 100 quotes draws from a range of contemplative traditions and offers wisdom and nourishment for anyone engaged in working for a more compassionate world. Quotes include those by Thich Nhat Hanh, Sister Chan Khong, Joanna Macy, Sulak Sivaraksa, and others, on themes of awareness, idealism, kindness, self-compassion, truth-telling, transformation, resilience, and love.